With winter dragging on at its usual pace, we find ourselves starting to feel a bit down. Grey, cold days give way to long nights and we can often find that we pick up coughs and sneezes that we just can’t shake. 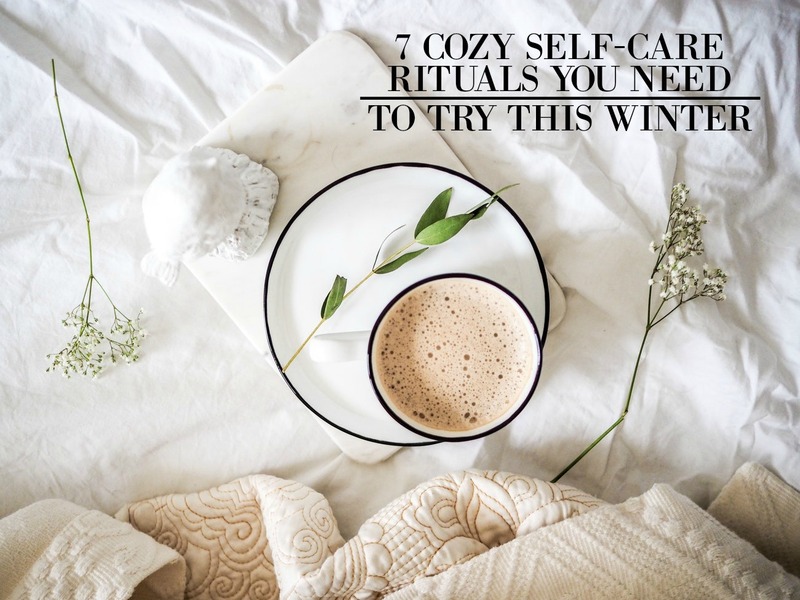 And if you’re in need of some R&R, then definitely try these top eight cozy self-care rituals this cold season and let us know what you think! A great way to keep your body feeling relaxed and healthy this cold season is to give yourself a nice detox bath. Add things like epsom salt, various essential oils, baking soda, or other ingredients. There are plenty of great ideas out there for a soothing bath on a cold day. Lately I’ve been taking time to write down the reasons why I’m grateful for the good things in my life or the small (and big) good things that happened during the day. It’s just a great way to stay in the warm while also taking care of your mental health. A lot of people struggle with the lack of sunlight during the winter months. Seasonal Affective Disorder (SAD) is a condition that is being reported more and more often. So a good way to counteract this is to get a light box which mimics the light of the sun. By using a light box, you might find that you feel a bit better. Just make sure not to have it on in the evening so that you don’t stay up longer! Get into the habit of drinking lots of hot drinks. From fruit and herbal teas to hot chocolates and coffees. Keep yourself warm, cozy, and hydrated (depending on the drink) by getting into the habit of drinking them regularly throughout the day to keep warm and toasty. The cold weather can be pretty brutal on your skin. Dry, chapped, and sore hands can be a real nuisance. So get stocked up with good quality hand cream and make it apart of your nightly routine to look after your hands. You can even treat yourself to a hand mask (yep, that’s a thing!) to make your hands feel even better! If you’re going to pamper your hands you might as well give your feet the same sort of treatment. Try a nice and relaxing foot soak to soothe away those aches and pains. In the Nordic countries, they have something called Hygge. Essentially this is the art of keeping cozy during the cold seasons. So get yourself snuggled up on the sofa with a thick blanket, grab a hot drink, light some candles, watch your favorite movie, and relax. What’s not to love? By building these rituals into your daily and weekly routines you’ll ensure that you are looking after yourself during these long cold months. Fear not Spring will be here soon, but whilst it is wintertime, make sure you’re caring for yourself.